Our Studio Cabin sleeps two people, making it the perfect cabin for couples. 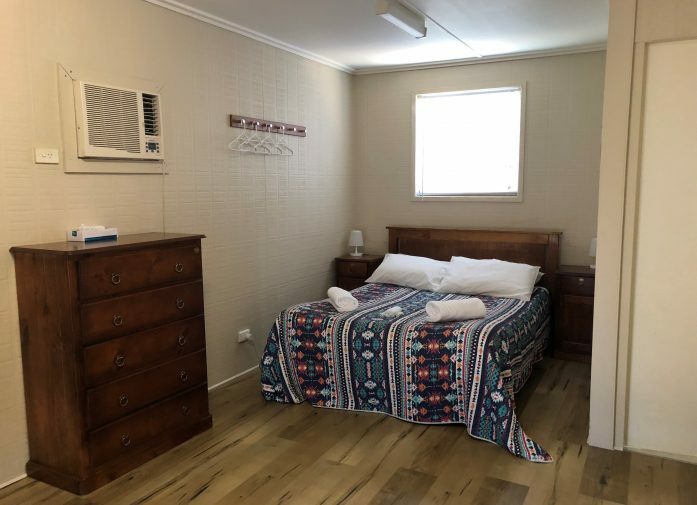 This self-contained cabin includes a queen bed and ensuite with linen provided. 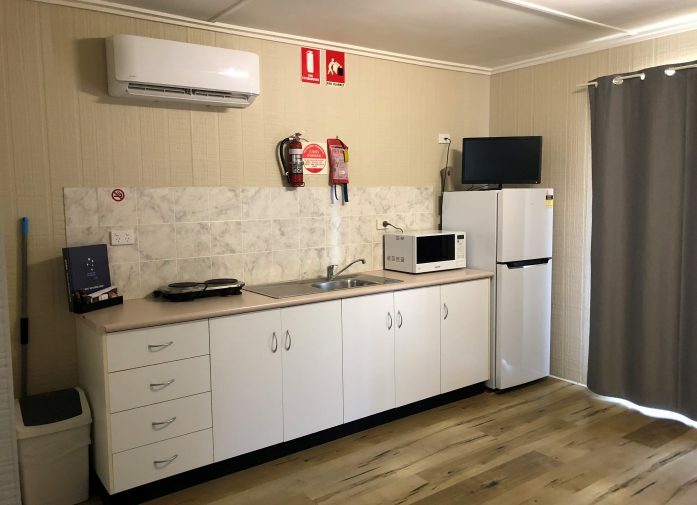 An open design room plan provides plenty of space and includes a kitchenette, fridge, microwave, toaster as well as tea and coffee facilities. 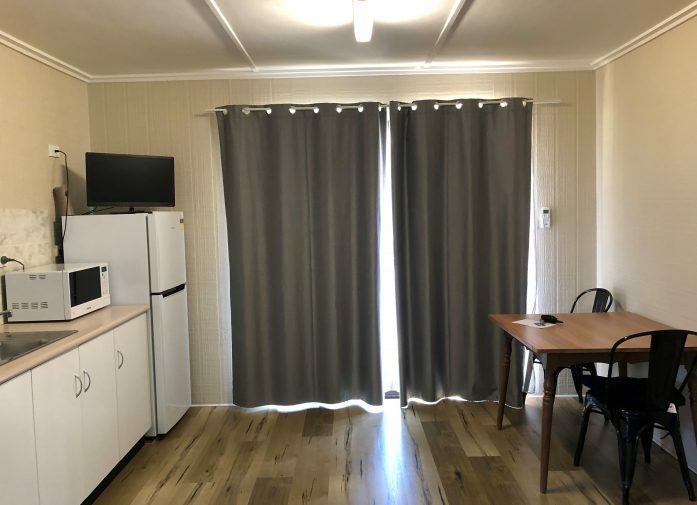 The studio cabin is in a very comfortable and offers the ideal place, to sit and relax at the end of a long day taking in the many sights in and around the local area. 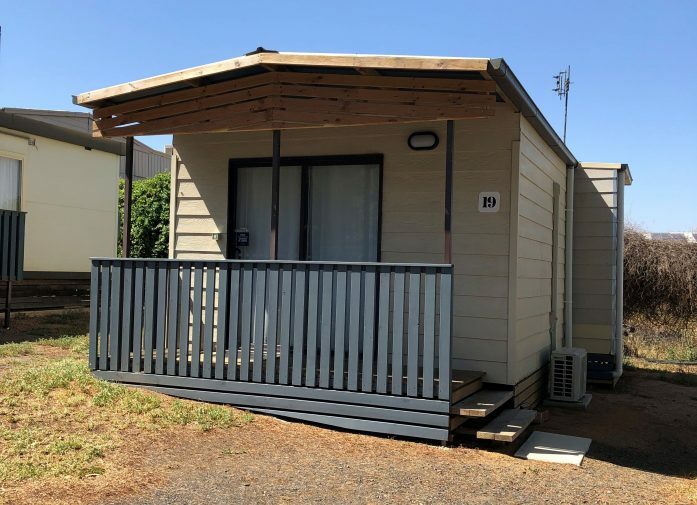 Our studio cabin is a great place to stay whilst exploring the beautiful city of Dubbo or just unwinding as you make the most of the great facilities available on-site.